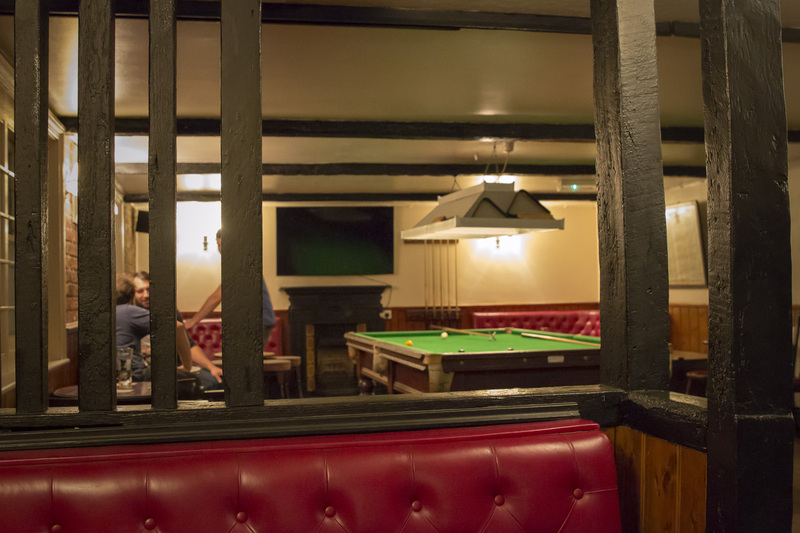 The Chequer Inn, Steyning has a three quarter size (9 feet x 4.5 feet) antique snooker and billiards table in a dedicated snooker room adjacent to our Public Bar. Our snooker table has recently been refurbished and resurfaced. We also have a set of pool balls so the table can be used for snooker, billiards or pool. Why not pop in for a game and see if you can beat the record break of 80 which has stood since 1922?! !